With video surveillance, it’s not only the customer who’s always right. Your business deserves the exceptional service that is the lifeblood of your own industry. We specialize in one-on-one service to help you select the best commercial security and fire systems and services for helping your business succeed—camera or not. Whether you’re a little corner store or a big-box store, our retail & hospitality security solutions are custom designed to match the needs of your business. The right solution is the one that considers every aspect of your business, such as customer experience, vendor delivery, building access points, inventory and storage conditions, and employees and their varying roles. Access critical data in the cloud. Simplify your job by viewing critical security and fire data anytime through our online client portal. It’s a convenient way to keep an eye on scheduled maintenance and monitor multiple properties from your office or on the go. to protect their business property and employees. 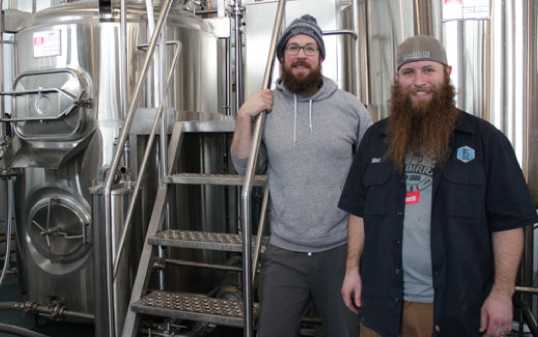 Cousins Tim Kessler and Max Filter opened Dual Citizen Brewing in January 2018. Photo © Park Bugle.